When people are getting ready to make upgrades to their kitchen, one of the biggest expenses they foresee is with the kitchen cabinets. However, if you’re in the market to upgrade your kitchen but have a strict budget, you don’t have to sacrifice quality to stay within your price range. With a little bit of research and hard work, you can have beautiful kitchen cabinets. A large part of a remodel is the cost of labor. You can save a lot of money by installing the cabinets yourself. There are a variety of companies that will allow you to purchase cabinets unassembled which can save you a lot of money by putting them together yourself. 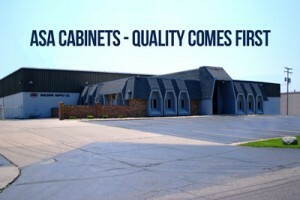 This will also allow you to purchase better quality cabinets. You can enlist the help of your family and friends to help you put the cabinets together if you do not feel one hundred percent comfortable with putting the cabinets together by yourself. Examine the condition of your current cabinets. You may not need to completely replace your cabinets to upgrade your kitchen. Consider just replacing the doors and repainting the cabinets to give the old cabinets a new facelift. The existing cabinets need to be in good working condition in order to make this upgrade appear seamless in your kitchen. By making the decision to replace the doors, you can get the look of new cabinetry at half the cost. Small changes sometimes make the biggest difference within a kitchen update. By repainting or staining your existing cabinets and replacing the hardware, you can provide a completely new look to your kitchen at an extremely low cost. Making these few things can completely change the look of your cabinets without the demolition, installation or extra cost of new cabinetry. If you take time to plan and put some effort into saving money on your cabinets, you can potentially save thousands of dollars. By using what you have, being creative and working hard you can reduce the cost of your cabinets and still have a beautiful kitchen upgrade.